The Poptart Manifesto by Rick Gualtieri: Teaser Chapter - Are You Ready to Chase the Devil? Teaser Chapter - Are You Ready to Chase the Devil? 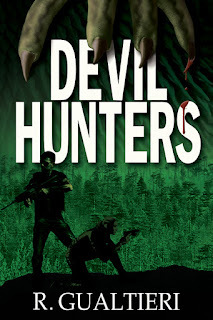 DEVIL HUNTERS, the long-awaited sequel to Bigfoot Hunters is here! Deep in the woods, mankind is the endangered species. Derek Jenner, the Crypto-Hunter, is back! Something is terrorizing the inhabitants of the Garden State, leaving a trail of missing persons and mutilated bodies in its wake. All signs point to the Jersey Devil, a creature long considered a hoax even in the cryptozoological community. Desperate for answers, the authorities summon Derek and his team to investigate. Now, the hunters are about to become the hunted because what lurks in the forest is more horrifying than they could ever imagine – a nightmare of man’s own making that’s about to set its sights in their direction. 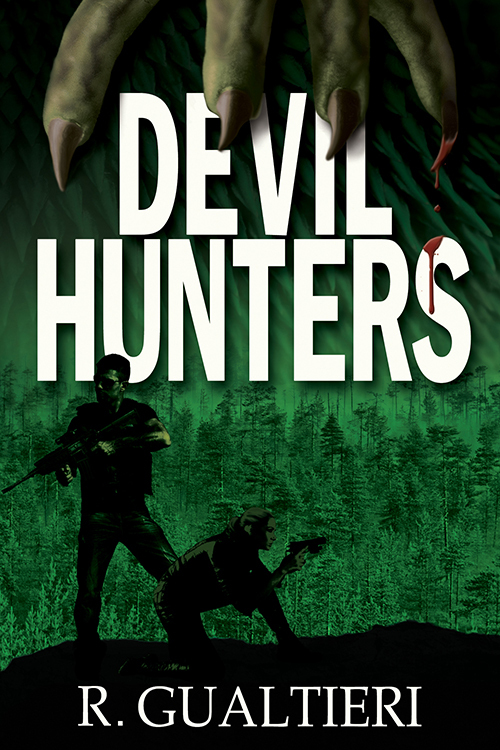 Sadly for them, a corrupt government official will do everything in his power to cover up the terrible secret that lies at the heart of the Pine Barrens … even if it means sacrificing Derek’s team to a fate worse than death. “Or a deformity,” Derek said. “Not usually their style,” Derek said. Derek and Danni turned toward Francis, but the big man didn’t appear to be in any danger. Derek started to laugh, but was interrupted by the sound of his radio beeping. The three hunters shared a glance, as if they’d suspected all along. “So we’re calling this turd hunt?” Francis asked. She turned back toward the prints, while Francis took off his pack and began rooting inside of it. He knew the big man would be fishing out his handheld camera so as to get some footage on the way in. That way the journey wouldn’t be a complete loss. He was about to turn away to ask Danni if she needed any help when he heard Francis zip up his pack, loud in the quiet woods. It took Derek a moment, but then he realized the forest had gone completely silent around them. Teaser Chapter for GET BENT!